As all children head back to school this week and parents start ticking off lists, frantically whatsapping other parents about everything from school uniform requirements to opening/closing times on the first day and hurriedly sticking, ironing and stamping on name labels on what seems like a never ending stream of supplies, it is easy to forget in that last minute rush that your child/children may be a little edgy, anxious or nervous regardless of what academic year they are starting in and regardless of how confident or excited they may have seemed up to now. From those starting in a brand new school, to those going into a new form; from those starting in “big school” for the first time, be it graduating from a pre-prep into a junior school or from a nursery into reception, it can sometimes be an overwhelming prospect and a child may not always be able to fully express those fears. It is important for them to be able to feel they can articulate what it is about going back that they are most worried about. If you are a parent with a young child starting school for the first time, it may be as daunting for you as it is for your child. The key here would be to do your best to prevent your anxiety and nerves from showing too much and not letting your child catch on to those vibes. Sounding excited about their new school, choosing and labelling clothes and stationery together, reading books about starting new school (there are quite a few out there) will all help with settling your child in on their first day. It goes without saying that any emotion you feel (and you will), just blink rapidly and smile until you are clear of the school gates. Children may also get anxious if they are moving from a school where they have spent quite a few years to a new school where they are not familiar with the surroundings, teachers or their new classmates or if they are moving from a smaller school to a larger school. 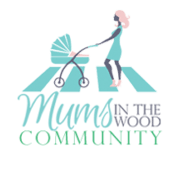 This is fairly common and making friends with the other parents or trying to get in touch with parents who perhaps live locally and arranging playdates before school starts may help with that transition in the early weeks. Also, driving or walking past the school, pointing it out, talking about it and building up your child’s excitement, all help with a new transition. Whatever the case, communication and open conversation once they get back home will be crucial in judging how those initial weeks are going. With very young children it will be quite normal for them to refuse to go back to school in the second week, once the excitement and enthusiasm of the first week has faded. As a parent, watching their behaviour as well as listening to what they say may give you clues as to what those first few weeks are like for your child and whether or not you need to step in and alert a teacher or whether you need to role play, stratagise and help your child in other ways. Also, if a child has already been in school but has not had a great year previously, this may put them in a negative frame of mind for the year to come. The best way to deal with this situation might be to present the new year as an opportunity for a new start or to address previous issues whether that be with a new teacher, the possibility of making new friends and helping your child make some new resolutions together with you. Most important in this scenario is to let your child know that you will always be there and are ready to help them deal with whatever comes their way in the new year. Sometimes even the fact that they have had an extended period of time with family over the summer (e.g. on vacation, etc.) will mean they are more attached to their parents and siblings than if they had spent the holiday at a camp making new friends. Apprehension at the thought of returning to school is very common and can get worse from year to year but if they are helped over the initial bumps, in most cases, children do adjust pretty quickly. 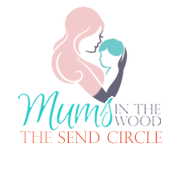 At such times, it is telling which friends they turn to and it may be at times like this that you as a parent get a good insight into who their closest, most trusted friends are. Your child themselves may not be fully aware of this! Another thing to bear in mind is that no one copes well if they are tired or hungry or have left everything to the very last minute. In addition to trying to keep a positive dialogue going, making sure you and your child have planned well and have the correct uniforms, have packed bags and pencil cases in advance and decided what to take in for lunches or snacks will all help make that first day smoother. Planning is everything and having your child get involved will help them too. Making sure that your child has had a good night’s sleep, has eaten a healthy and filling breakfast and leaving on time so that you get to school a little earlier than necessary will also help with nerves and anxiety. However, along with giving it your best shot at keeping things easy and smooth on the day, it is also always helpful to let your child’s teacher know if they are feeling a little wobbly. Remember that the majority of teachers will have seen it all before and will know exactly what to do to help your child calm down and settle in. On the plus side, nine times out of ten though, the biggest challenge is getting them through the school gates and once that barrier is breached, chances are, they will settle in without too much fuss. Don’t be surprised if by pick up time you are struggling to get them back out of the school gates and back home to do their homework!! 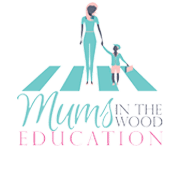 We at Mums In The Wood would like to wish you all good luck at the beginning of term and let you know that we hope you and your little ones, not so little ones and older ones, all have a wonderful year back!